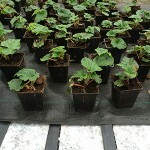 The heating ribbons can also be applied in cultivation tables with a fixed or soft surface. An extra layer of insulation can be applied beneath the heating. 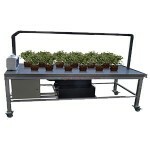 The heating ribbons in this cultivation table have been installed directly under the top layer to achieve the most efficient heat transfer. These kinds of applications are provided with thin heating ribbons fixed to glass fibre nets. When heating ribbons are applied in cultivation tables with a soft top layer, the ribbons are placed directly under the top layer. This top layer usually consists of a root cloth. A thin PE layer is placed underneath for water protection. We also use the thin heating mats for these kinds of applications. 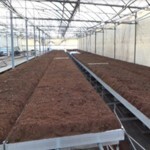 The outdoor heating ribbons are applied for open ground applications, to be placed directly in the soil. 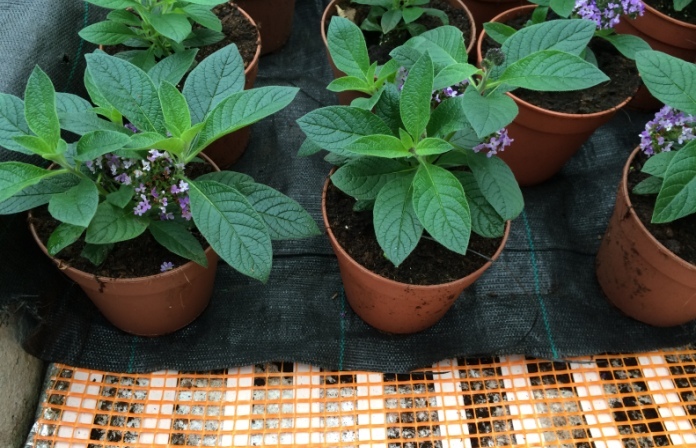 Plants growing from seeds becoming commercial products, require the best growth circumstances. 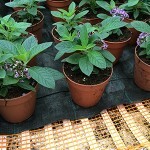 Plastic containers become the ideal growing environment with a very high growing effect when combined with heating ribbons. The heating ribbons are placed in an insulation layer to increase the efficiency.